Hi! 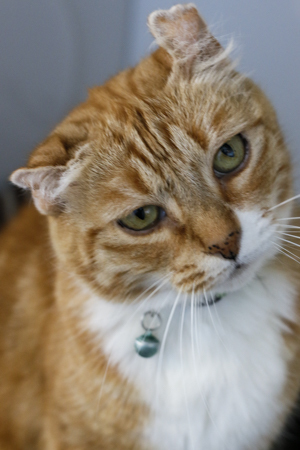 My name is Vinny, short for Vinessa as I am a rare female orange tabby! At 9 years old I am a real mellow girl that is dreaming about long summer days of couch naps in the sunshine and an all you can eat buffet of wet food. I am a lovable, low-maintenance gal that can help you with crosswords and am a pro at bingo. I do well with other cats and people of all ages, but prefer a home that is a bit on the quieter side. Do I sound like just the companion you are looking for? Come visit me at the Pixie Project where I currently reside. Visiting hours are Tues-Fri 11-6 and Sat 11-4. I am fixed, vaccinated and microchipped. My adoption fee is $80.